The Castaway House in Islamorada is one of our favorite venues for events here in the upper keys. The property is well suited for both a large and small event. It has a huge beachfront overlooking the sparkling Atlantic Ocean with a white sandy walk-in beach, which as you may or may not know is a rare thing down here. It also has plenty of space for parking in the front and a shaded area on the beach for the ceremony. The house on the property is a super cute honeymoon cottage, that not only looks like a boat but actually is a boat! 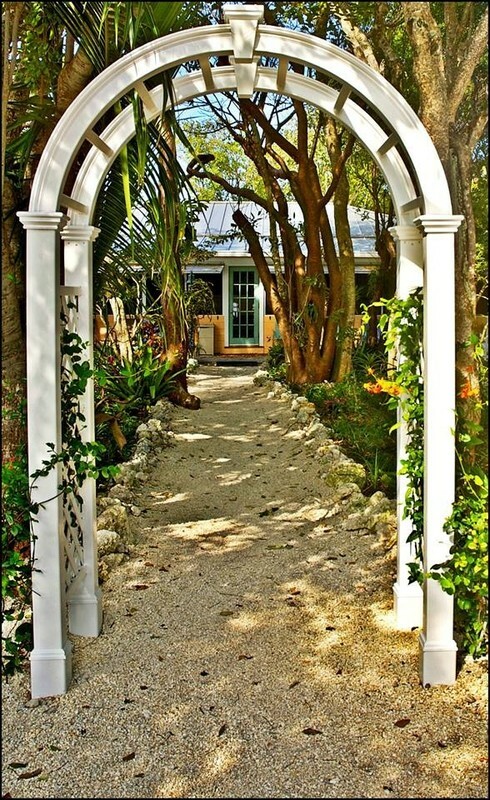 This property has a long history here in Islamorada making it a historic wedding venue. Here is a little bit about how this boat house came to be, a story told to me by Lisa Bradeen who is involved with the Islamorada Historical Society. Clara Maw Downey first bought the boat and put it on her property of The Olney Inn. It then blew onto Preston Street during Hurricane Donna and Jim Gilmore (who had purchased the property already) dragged it on rollers to where it is today and used it as a winter house for his Family. Mr. Gilmore was from Kalamazoo, Michigan and was the owner of Gilmore/Foyt Racing Team, as in AJ Foyt, Indy Winner 3 times and owned Clear Channel stations and was big in the broadcasting industry. The Gilmore Family still owns the property today. Mr. Gilmore was involved with the original World Wide Sportsman with George Hommell & The Green Turtle Inn. Doris Hommell was the caretaker of the property for many years. She bought the house that Joe & Debbie live in for $1.00 from Mr. Gilmore and turned it into a Flower/Nursery shop which was very successful in the 80's. I worked with Doris for 5 years during that time. It was a glorious time decorating all the homes & restaurants in Islamorada. President Truman and his wife with their friend & guest, Edward R Morrow vacationed there in the late 50's. President Truman fished with Bucky Stark then. Mrs. Truman did not fish. The property is for sale as of present for 5 million. Watch this space for more inside info on some of our favorite wedding spots!